The Sky Sports Power Rankings top 50 players have been published after the first round of Premier League matches. The Power Rankings methodology reflects a player’s performance usually over the last five matchdays (though with it only being the opening game, it is this time only based on that one match for each player) by awarding points to players for 32 different stats. A heavier weighting is usually given to the most recent match in descending order to the fifth last one, with the intention of showing who is most in form. 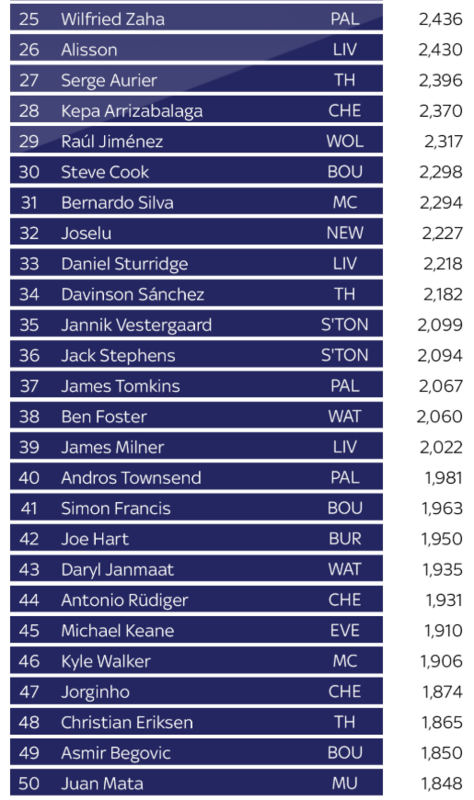 After Newcastle’s 2-1 defeat to Tottenham, one NUFC player makes the top 50 this week. With scoring goals obviously one of the main scoring criteria, no surprise to see Tottenham’s goalscorers both featuring, Jan Vertonghen at number five and Dele Alli at 19th. 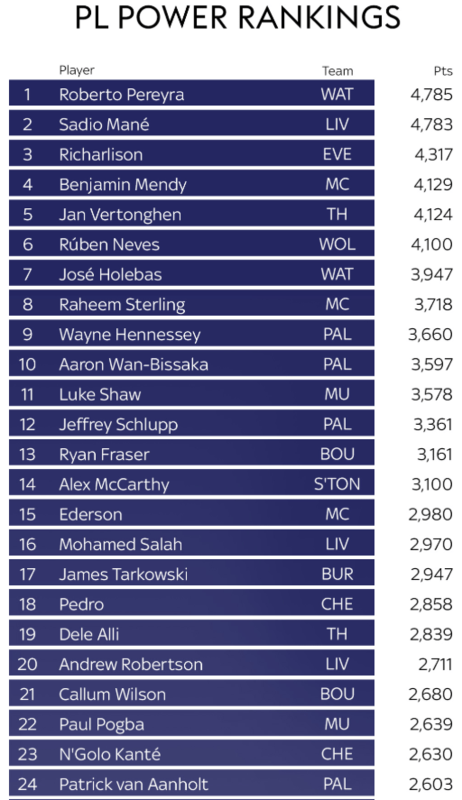 Meanwhile, Joselu goes in at number 32, and no doubt he would have been significantly higher if Kenedy hadn’t fluffed his one on one with Lloris, depriving Joselu of an assist after an excellent pass to set him up. Stats based systems such as these are sometimes going to be at odds with what fans might be saying and the fan player ratings we published earlier today, saw Ritchie and Kenedy out in front with the highest ratings, whilst Joselu was way behind. Hopefully, Newcastle will be better represented after playing Cardiff on Saturday.